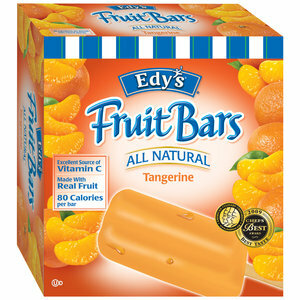 Yes, it's the never ending quest to try every Fruit Bar flavor, and why not, they're always tasty and all natural...and low cal. Oh yeah, 3 reasons to try yet another flavor: Tangerine. The flavor is actually quite tangy like the lemonade ones. I'll make up a number and say that it's maybe 70% as potent. Flavor is respectable and definitely not a straight orange flavor. I like them, but grape is still my favorite.